Centrifugal Castings, Inc. is committed to continual improvement through the use of our quality management system. CCI's quality management system is ISO 9001:2000 registered. Download a copy of our certifications here. At CCI, we have built our reputation on quality. It is fundamental that a business enterprise exists only because of its satisfied customers. 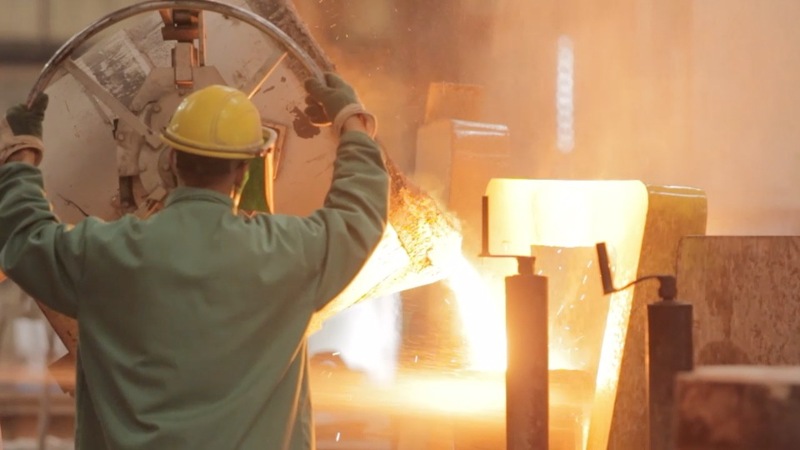 The reputation of CCI, reflected in the dedication of our people and our expanding list of customers, has been built by consistently producing castings to their exact specifications. 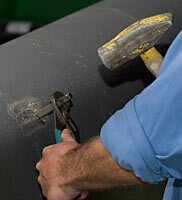 Before a heat of metal is poured it must first pass a rigid quality inspection. A test sample or "button" is taken from the heat before it is poured. A modern optical emission spectrometer is used to perform a complete chemical analysis. The chemical analysis is part of the step-by-step quality check routine to insure that each casting meets our customer's specifications. Each "button" is tagged, cross-referenced and retained for future reference. Each casting is permanently marked with our work order number, heat number and type of material to insure product traceability throughout the manufacturing process.